Challenge: Student wanted to create an original print, a combination of an iPad stand for use in the classroom, personalised for the student who created it, to include a built in draw for storage. a regular iPad Mini sit on the stand. The design included a hollowed out part of the base. When the initial print was completed a second part of the design was to create the draw which could be inserted into the base. The student delibrately choose a different coloured PLA for the print for the draw. The student again spent considerable time ensuring that the dimensions of the draw were correct so that it could work in conjunction with the base. The student concerned in this projecy is a Y5 student who is ten years old. She has had two years experience with 3D Printing. Level of Difficulty - High. The student is designing this project from scratch and had to take a number of factors into consideration - the size of the project relative to the goal, and the inclusion of a drawer to work in conjunction with the base. 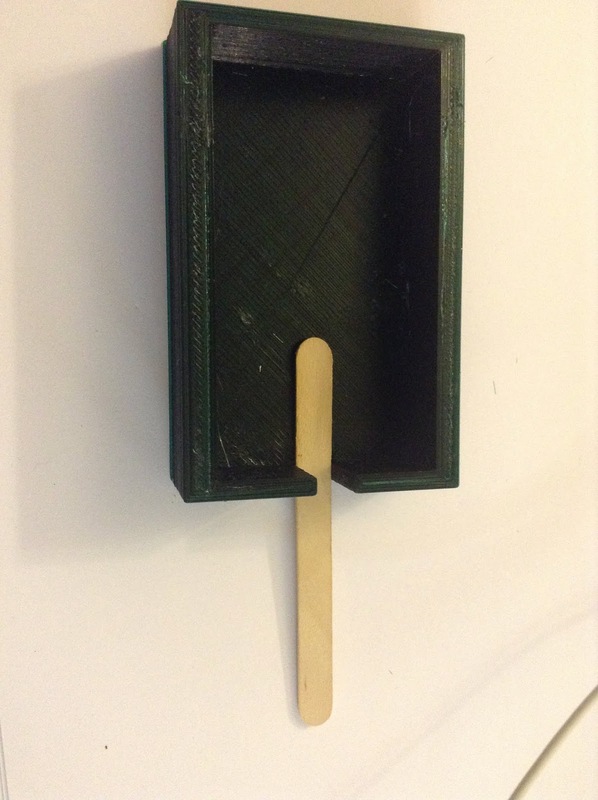 The stand was produced with a hollowed base, the draw needed to sit inside the base and be able to be opened. Size: The base stand measures 100mm across and has a depth of 100mm. The front of the base rises 50mm with the lip. The rear of the stand was 110mm high and 20mm deep. The naming letter on the top of the base raised 10mm. The width of the sides of the base was generally 5mm. The draw was of relatively similar dimensions. It was 80mm and 100mm deep with a width of 3mm for the sides. This was slightly smaller that it could have been. What we would do differently: The students designed the draw to be somewhat loose as she was wanting it to be easy to open and close the draw, it could have been slightly larger to create a bigger fit, otherwise the design relative to the brief and challenge was extremely successful. Next Steps for Student: To move onto other projects. This project has been completed and completed to an extremely high standard, and while there are some very slight minor adjustments to be made the print itself is working extremely well. Above: Design shown in profile. Challenge: Student wanted to create a gift to give another person. They wanted something themed that was related to a specific interest that the person receiving the gift. Background: Student wanted to use a precreated design to print, using this as a gift for another family member. The student concerned was a senior at our school. This was her first time independently working on a 3D Project. 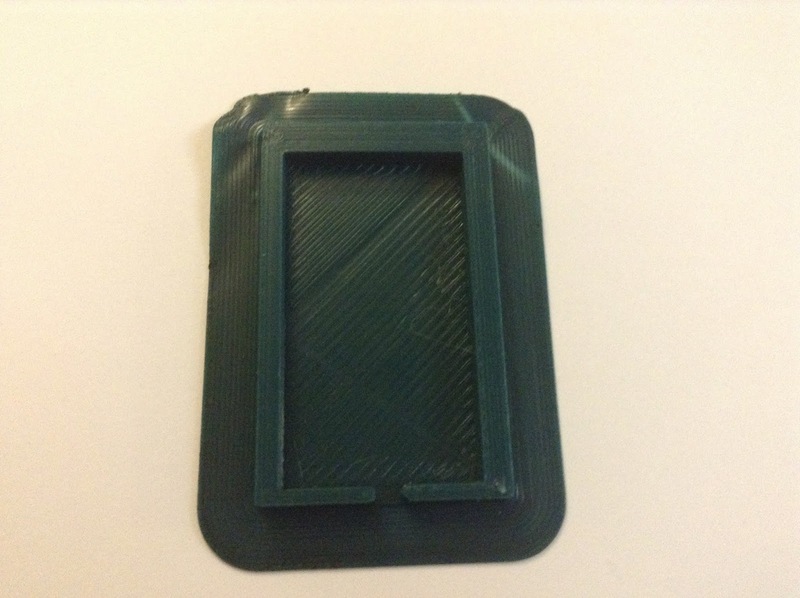 The student approached the teacher with the completed project and wanted to print it. 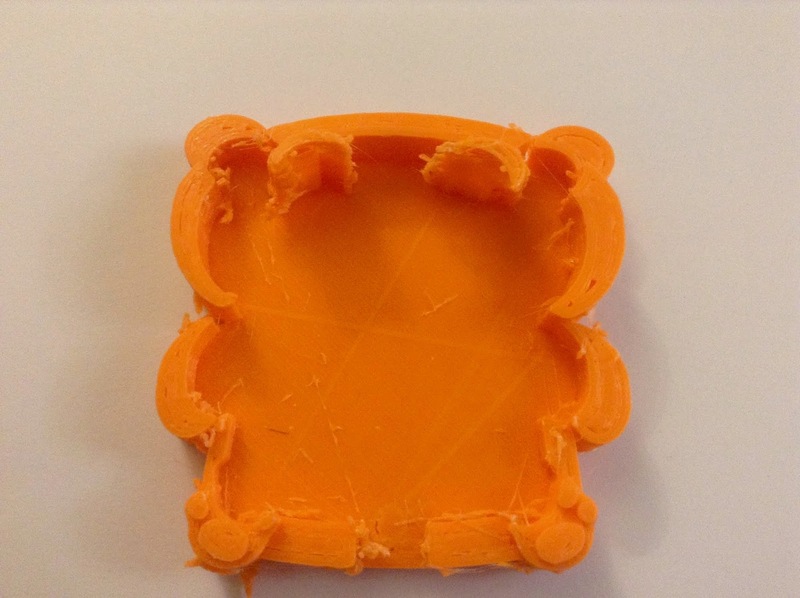 It was obviously sourced from a free design site (in this case Tinkercad) and the student simply wanted to create a print that would sit at a desk. The head of 'Groot' from the 'Guardians of the Galaxy' movies/cartoons. Under these circumstances the option is usually made not to proceed with this print, as the student had not personalised or adapted a print in a way to make it unique. Consideration is also given for the encouragement of students to do this, we at times allow a print that is potentially going to get students creating and thinking critically about producing individual works. View from above showing storage. Level of Difficulty: Low - the student sole aspect of the print was to produce it at a size that made it suitable for her to forfill its purpose, to be placed on a desk to allow the hollow part of the head to be used to store stationary items. Timeframe: Four hours. The print had a minimal level of rafting, but as it was a commercial design there was not much leeway to reduce the time without having to resize the print. Size: Print had a length of 70mm a width of 60mm and a height of 80mm. Given the purpose, the size of the print was about the right size. With hindsight it could have potentially been significantly increased so it could have been a storage item for pens/pencils, as it was at its present size it was suitable for smaller items. What we would do differently: The student was happy with the project. She had a particular character from the series in mind and therefore her creation of this character would not be possible from scratch. There was of course a potential for the student to personalise it more with the individuals name that it was gifted for, however that was not something that the student felt that she wanted to attempt. Next steps for students: For the student to use the experience to start to create orginal designs. Challenge: Student wanted to create a series of 3D Printed accessories to use as part of a play set involving horses and show jumping. Background: This student has themed various designs during the year based around a 'horse' theme, as it is something that she is passionatae about. She was looking to create specific accessories for some of her existing toys, hence she was trying to produce something of a very specific size to scale. She was able to source some online freely available materials and designs and then set about adjusting the size of them so that she was able to have them produced for the correct size (which she was able to do on the second attempt). As the time was relatively short we had contemplated a series of prints in different PLA that would feature the same design and then be combined for a layering effect with differing colours. The student in charge of this project (and to also answer a question that has come up recently, the student is also responsible for the conversion of the design into the 3D Printing Computer software and the full printing processs - the limit of the teachers input at this stage is to check the production time for the print, sometimes once it is already in progress to simply ensure it is a reasonable print from the student. The student in this case is a Y5 student who is usnig the 3D Printer for the first time significantly. Level of Difficulty - Low: this print require a redesign for size, otherwise the design aspect was minimal as it was a Tinkercad freely available file. Timeframe: One hour forty minutes. This could be modified for the individual poles etc which were ten minutes each. Size: The size of each of the items that were part of the set varied significantly. The poles that were featured for the dressage jump was 3mm thick and 60mm long. What we would do differently: Minimal - the student considered the project to be extremely successful, and other than the relative failure of the first print, given that it was not to the students satisfaction relative to the size of the original toy. Next steps for the student: To move onto other projects, perhaps to use their talents and skills to create original pieces of accessories instead of relying on open sourced projects.